One of the most common misconceptions when selling a house is that it should be painted top to bottom in the brightest, cleanest white you can find. The theory behind this is namely to create a blank canvas that seamlessly allows prospective buyers to imagine their own furniture and possessions in the house. However, it’s all too easy to make an all-white house feel cold and clinical, leaving buyers with an uninspired emptiness. You’ll leave young families worried that their two toddlers would dirty the place within seconds and thinking of all the practicalities, alienating a considerable section of the buyer market. 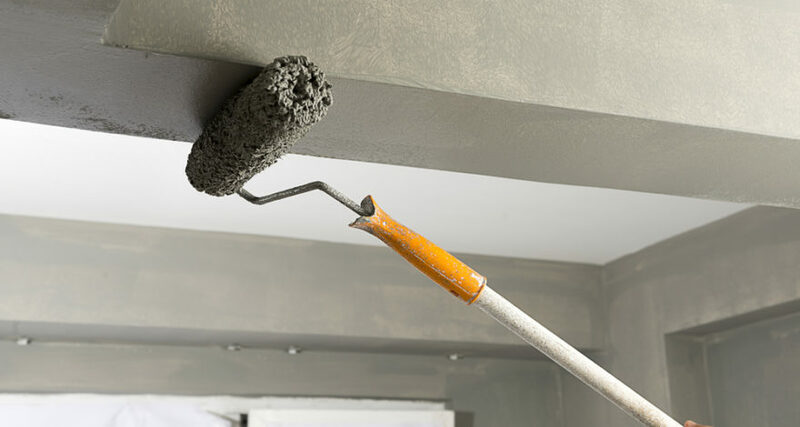 While a fresh coat of white paint is undoubtedly the easiest and most cost-effective way to refresh a property that has been well lived-in for years, it’s not the only way to brighten your home. Avoid having your property come across as bland, uninspired and frankly a bit boring by choosing to add colour. It’s important that you pick the right colour scheme when painting a house for auction, as you don’t want anything too polarising, but you do want to add personality. So how do you toe the line and use colour to your advantage? If you want to play it safe, then we suggest that you start with a neutral palette. Use lighter colours for darker rooms to create the illusion of light but always in a warm shade to avoid that cold feel. Compliment the neutral walls with pops of colour in your furnishings and decor – think a bright couch cushion, a vase with flowers or vibrant artwork. Rugs never go astray either, the texture and colour of which can add warmth and a homely feel but be wary of a lighter shade if you have many showings. Nothing worse than a dirty trampled white rug! If you want to move away from a neutral palette and have a play with bolder colour, it’s important not to overwhelm your buyers. While it can be tempting to unleash your creativity and paint all four walls of a room the brightest colour you can, unfortunately, that too can be polarising. Bold feature walls are a great way to add a little fun and personality to your home without scaring off viewers. One or two coloured walls in each room can make a huge impact. Again, be conscious of the light in the room and always match your furnishings to the colour. Always keep in mind that you want your buyers to have a positive emotional reaction to your house. You want to inspire warmth and homeliness and colour is the best way to do just that. If you’re getting ready to sell your home, speak to us at APMG Painting Melbourne about how we can help your home look it’s very best.